Have you heard the news? Barefoot Landing, a Myrtle Beach staple for over 25 years, is currently undergoing massive renovations. Don’t worry, if an annual trip to this bustling outdoor venue is on your itinerary, Barefoot Landing is very much open for business. However, if you venture over to the waterfront venue this summer, you’ll likely notice several new and exciting additions, including Taco Mundo Kitchen Y Cantina. Barefoot Landing has a long-standing tradition of offering top-of-the-line dining and entertainment options, and the renovations are simply adding to the already impressive lineup of options. 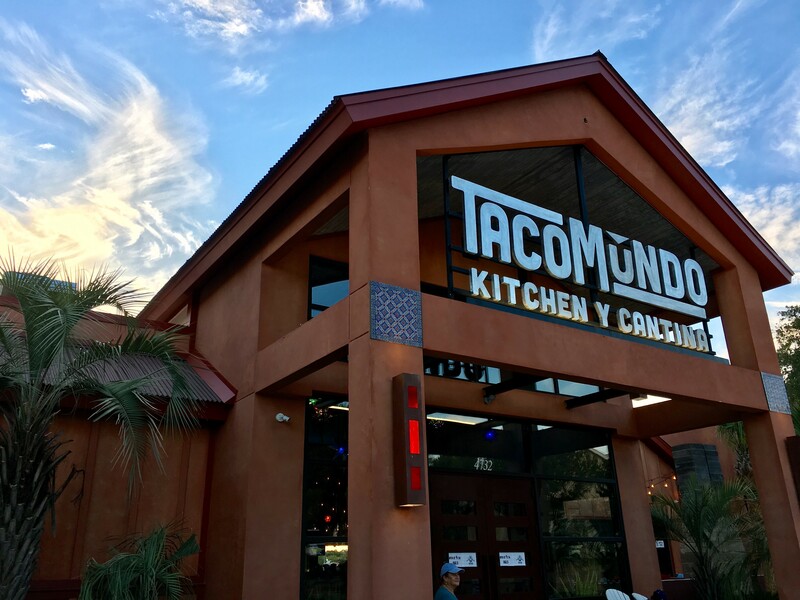 Owned by the established ‘Homegrown Hospitality’ restaurant group, which already runs several other popular area restaurants, Taco Mundo is an exciting new endeavor. The Mexican-inspired restaurant concept is the first of its kind in Barefoot Landing, a refreshing south-of-the-border twist to round out the seafood and soul food offerings that already exist in the area. The food menu is simple, fresh, and affordable, with several classic categories that hit all of the essentials, including starters, nachos, tacos, fajitas, rice bowls, and more. Start your Mexican adventure with a classic order of chips and salsa, guacamole, or chile con queso. Or, for a lighter option, try the fresh tuna poke, a summertime favorite, with watermelon, cucumber, avocado, sesame seeds, and lime. As the restaurant name suggests, the tacos at Taco Mundo steal the show. All tacos are sold a la carte, making it easy to mix and match your favorite flavors. Visitors can choose from a soft flour tortilla or a hard corn tortilla for each selection. Enjoy classics, like the ‘Taco Americano’, ‘Grilled Fish’, or ‘Carne Asada’ variations. Or, if you’re in the mood for something more decadent, try the ‘Kimchi Beef’, ‘Southwest Seared Tuna’, or ‘El Lobster’. If you’re feeding a crowd, try one of the ‘Tacos for the Table’ plates, which offers nine handmade tacos served family style with black beans and Mexican rice. Feeding a family made easy! Other Mexican classics include the fajita plates, which are served sizzling with bell peppers and onions, flour tortillas, and generous sides of black beans and rice. Fajitas are offered with grilled chicken, carne asada, grilled shrimp, or all three! Nachos and quesadillas are also options for visitors craving a Mexican favorite. For a lighter entree, opt for one of the refreshing salads or rice bowls. The ‘Chicken Cobb’ steals the show with bacon, avocado, boiled eggs, roasted corn, and marinated chicken piled high atop a bed of mixed greens. Rice bowls are equally impressive and offered in imaginative flavors like cilantro-lime shrimp and roasted veggie. Of course, it wouldn’t be a trip to a Mexican eatery without a fresh margarita and Taco Mundo certainly delivers. The extensive drink list offers 14 signature margaritas that are sure to leave an impression. The ‘Gran Ma’s Rockin Rita’ is the perfect option for guests looking for a splurge, while sweet options like the ‘pomegranate’, ‘blackberry lime’, and ‘raspberry lemonade’ margaritas are ideal for guest seeking a sweet and refreshing sip. Options are available for ‘on the rocks’ margaritas or ‘frozen’ margaritas to help you stay cool and refreshed. Of course, Taco Mundo also offers plenty of other beverage options, like tequila flights, draft and bottled beer, and house-made sangria. Finish your Mexi-meal with a decadent dessert! Taco Mundo currently offers two options, the traditional ‘Tres Leches’, a sponge cake soaked with milk and brandy and then topped with whipped cream and cinnamon. Or, indulge in a true favorite, the ‘Bag of Churros’, served with a house-made Mexican chocolate sauce for dipping. Taco Mundo is now open daily at Barefoot Landing. 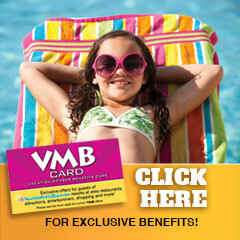 Call (843) 427-2777 for more information or reservations.